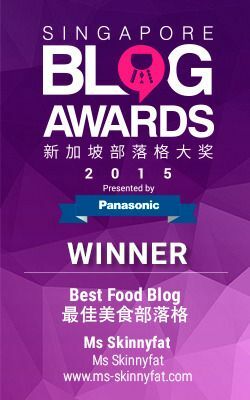 At our last dim sum buffet at Jade Restaurant at the iconic Fullerton Hotel, we lamented their slow service and hurried dining experience despite the delicious morsels. Guess they heard our unhappiness! Jade has recently scraped the buffet and launched a new dim sum experience: Gourmet Dim Sum Treasures, featuring an ala carte as well as a range of set menus to fulfil your weekend and public holiday dim sum cravings. There is a wide variety of lunch set menus and here's sharing the highlights to ease that decision making. First up, a trio of dim sum with a contemporary twist. My personal favourite was the scallop dumpling topped with salmon roe. The sweet scallop filling complemented the salty ikura roe perfectly. Also delicious was the golden sea urchin siew mai, where the ubiquitous prawn dumpling was given an instant elevation in status with the sweet and fresh uni. The foie gras and truffle shrimp dumpling was a tad too rich, and we found that the foie gras masked the flavour of the har-gow which was unfortunate as the prawn filling was fresh and bouncy. The next dish is the Garden of Roasted Delight, which consists of an assortment of meats including honey glazed barbeque pork, roasted duck, crispy roasted pork belly, thousand-layer pig’s ear, and thinly sliced pork with garlic and vinaigrette. The crowd favourite of the night, the roast meats were tender, flavourful and well executed, the pigs’ ears were crunchy-collagen-goodness and the vinaigrette was a piquant accompaniment to the thinly sliced pork. 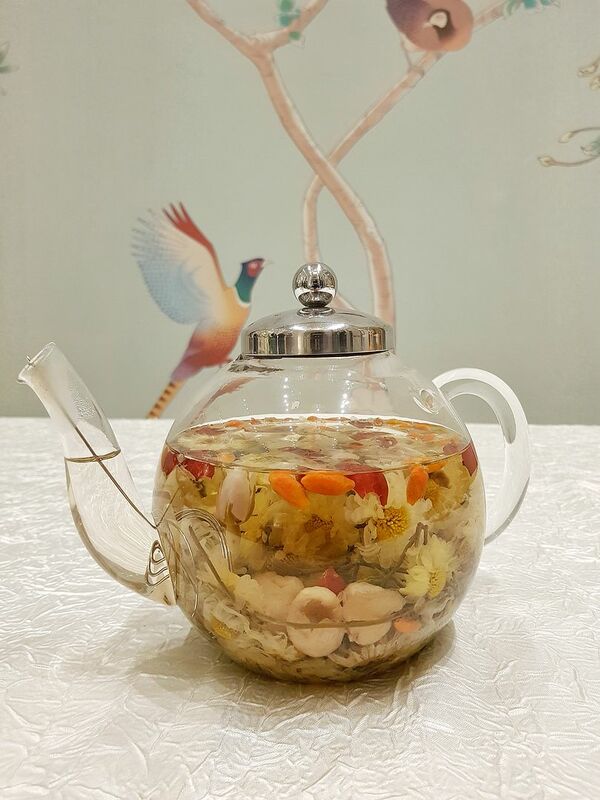 Of course, a good pot of Chinese Tea is a must with dimsum and we recommend the elegant 8 Treasures Tea, a calming brew with floral notes of jasmine, chrysanthemum and rosebuds, accompanied by gooseberries, red dates and dried longans. A refreshing mint and citrus ending comes from the mint root and dried calamansi. 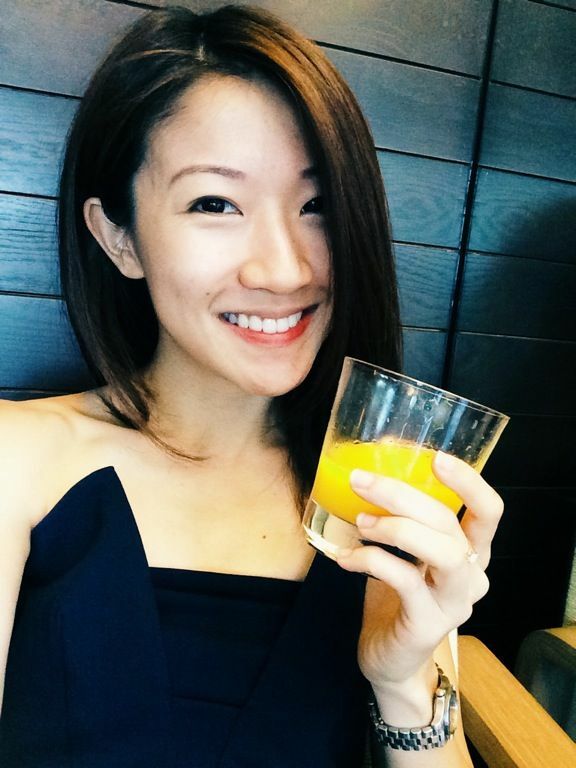 The tea was clean and light, and an excellent partner to the wonderful dim sum dishes at Jade. 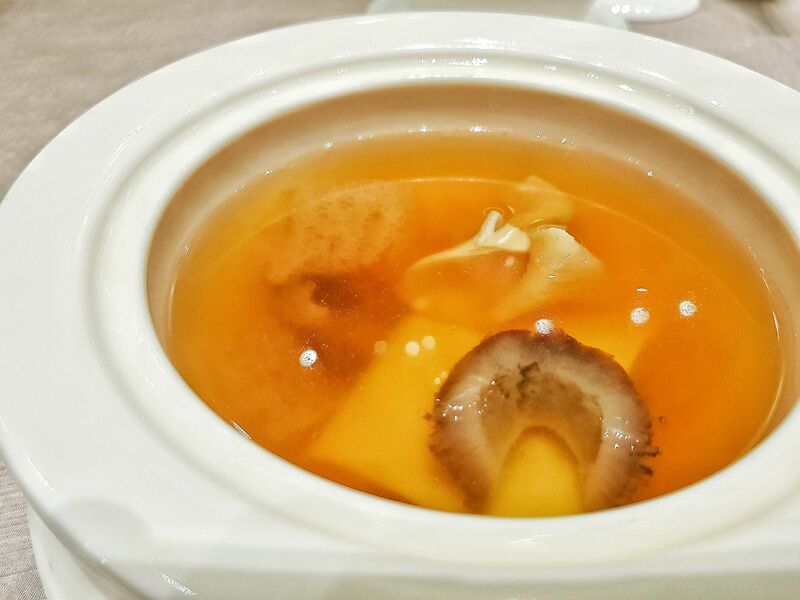 No Chinese meal is complete without a comforting soup, and the Double boiled fish maw, sea cucumber, bamboo pith and tofu dumpling in superior consommé was no exception. The consommé was sweet and nourishing, and we instantly felt energized by all that goodness. This unassuming plate of Wok-fried rice flour rolls with scallop in X.O. sauce was a close contender for favourite dish of the night. The chee cheong fun was fried to a crispy goodness, bathed in the wonderful umami flavour of the XO sauce and the entire dish was chockful of wokhei. This was certainly a dish worthy of repeat orders. 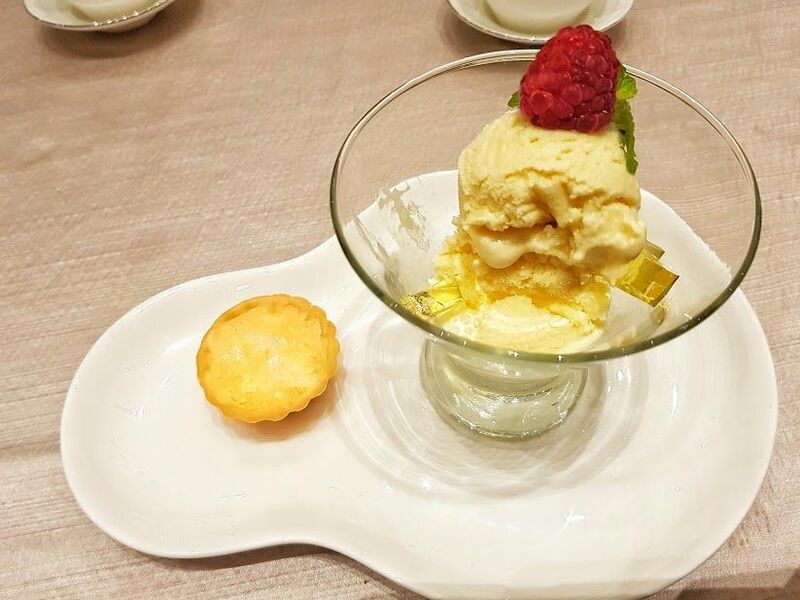 Dessert was a Shaved pineapple coconut ice with champagne jelly accompanied by a bird’s nest egg tart. The pineapple coconut ice (more a sorbet than ice really) provided a refreshing end to the meal, though the champagne jelly was unfortunately rather unremarkable. The bird’s nest egg tart was memorable because of the huge dollop of bird’s nest resting on top of the egg custard. We were all pleasantly surprised by the presentation of the Lotus paste pastry flowers. While these pastries were tasty in the own right - with the lotus paste being the right consistency and sweetness, and the pastry skin being flaky and nicely buttery, what got us awing were the accompanying decorations. 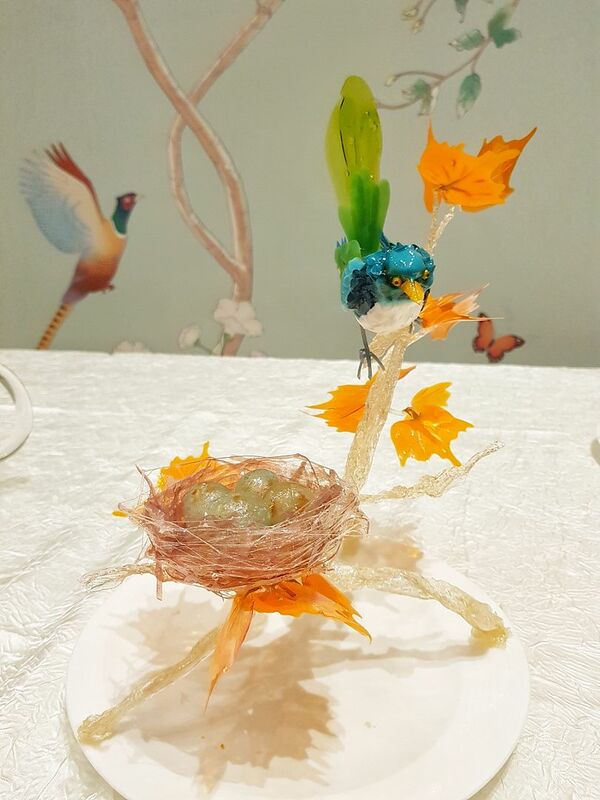 Made of gelatin, and coming in an assortment of designs (from land, air and sea) and a riot of colours, each and every single of these were hand crafted by the chef, and there are enough of these to ensure that every table gets to be awe-struck at the end of lunch. 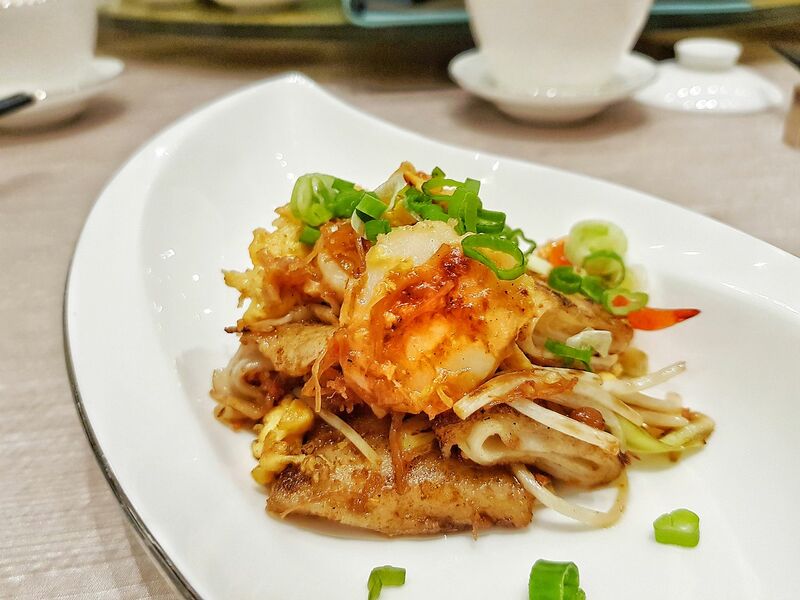 While the loss of the popular ala carte buffet at Jade Restaurant is a pity (it was really value for money), diners need not feel mournful for too long as the new, revamped menu is definitely worth a visit or more! Prices may be a little on the high side, but the beautiful and expansive interior accompanied by the wonderful food makes for a delectable experience.